We are all visual learners to some extent. While people nowadays like to categorize themselves as either visual or auditory learners, research in the last few years suggests that no such distinction exists. Because of this, we all benefit from a mix of learning media, whether that be visual, audible, verbal, olfactible or anything else. In the next few weeks, plans will crystallize on how to handle our two news products for the summer, Capitol Hound and Newsling. Come August we will have detailed, extensive explanations on how these potential products will work, what purpose they serve and how we plan to structure a business around them. Visual thinking is a strategy that can be used to explain these products in intense detail, especially when words no longer serve their purpose. Explaining these products verbally can be a chore; I feel like I could write pages and pages of content explaining what they do and why you should care. After a certain point words only accomplish so much. All of us at Reese use visuals tools (non-traditional storytelling, anyone? ), and this is why I think visual components are a necessary strategy to accomplish our goals and report on these products’ viability. After words no longer serve their purpose, you have to break out of the lexical shell and bring visual cues into the mix. This is where I think concept modeling and creating process flows come most in handy in product development. At the core, concepts models are visual representations of an idea or a system that use consistent visual vocabularies to create a kind of visual language of relationships and entities. They illustrate concepts for broad understanding of an idea or, in our case, of a product. This concept model illustrates the basic idea behind Lucy’s product in one comprehensible outline. Take note of the visual language shown; visual icons for Lucy, her customers, the lemons and the money being traded are a direct link to the natural world. Each relationship can be read aloud, e.g. “Lucy prepares lemonade [which is] given to customers, [who] exchange money,” etc. While Lucy’s lemonade business is simple, concept models such as this can be used to explain more complex ideas, such as Bryce Glass’ classic concept model explaining the photo-sharing site Flickr. Creating complex models like these can make heavily-researched and detailed ideas — such as the ones we are preparing this summer — succinct and accessible to a general audience while avoiding the use of verbal jargon. Process flows such as this cover more realistic expectations and are structured a bit more linearly — the supplies go from the farms and factories to the shipping center, then to the grocer, then to Lucy who then takes the supplies through another process for lemonade-making, followed by money exchange with the customers, and so on. In this example I’ve even taken the liberty of extending the visual vocabulary to avoid re-explaining pre-known pieces of the puzzle. 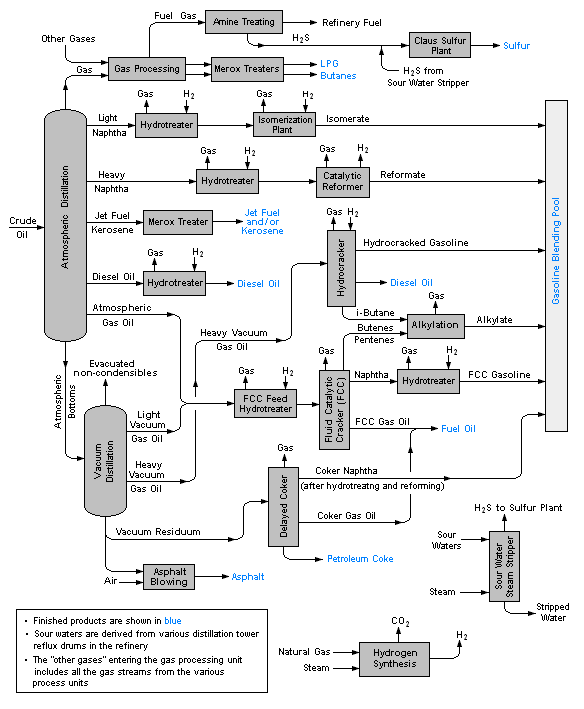 Lucy’s process right now is easy for us to follow, but other process flows can reach into the specifics of a certain industry or system such as this oil refinery example from Wikipedia. Most of the sub-processes in Lucy’s example can be broken down even farther (e.g. How are lemons grown by the farms? How do factories make cups? How does the grocer keep stock? ), creating even more complex process flows! These visual tools allow us to illustrate concepts, processes, relationships and information in the most natural way possible. Using these tools, we can establish visual patterns that can be used to represent and break-down complex structures within a product’s life-cycle. Here at Reese News Lab, we have no shortage of structures to break-down. It’s literally what we’ve been doing this summer with business plans, marketing reports, and product pitches. With visual thinking, we can make progress to defining our start-up products in easy-to-process ways. On pitch day, you’ll see the fruits of our labor in all kinds of different mediums.